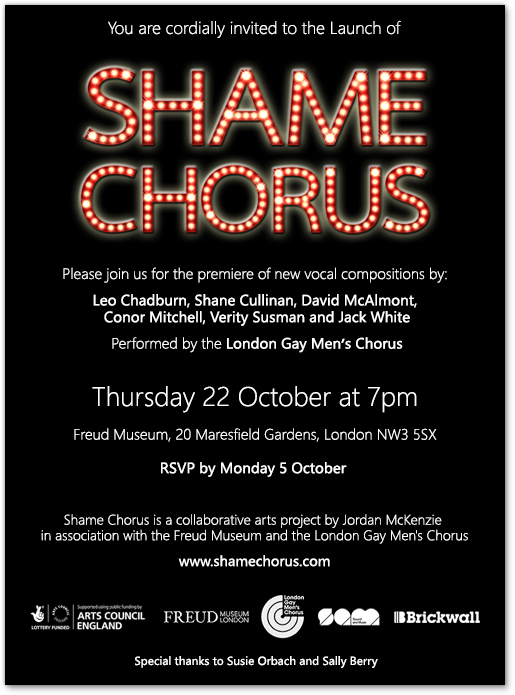 I am looking forward to the premiere of my new piece ‘Nothing and Everything’ as part of the ‘Shame Chrous’ this month. It will be great to hear the other composers’ pieces too. The brief was very unique. We were asked to read anonymous interview transcripts and write a piece based around the material brought up in the interviews. I have never written a piece in this way before, and I think that it will make for a very diverse and moving concert. Posted on 06/10/2015, in General and tagged Freud Museum, Jack White, Jordan McKenzie, LGMC, Shame Chorus, Susie Orbach. Bookmark the permalink. Leave a comment.